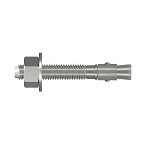 Expansion anchor for use in solid concrete or grout filled masonry. The WEDGE-ALL® wedge anchors are a non-bottom bearing, wedge style expansion anchor for use in solid concrete or grout filled masonry. 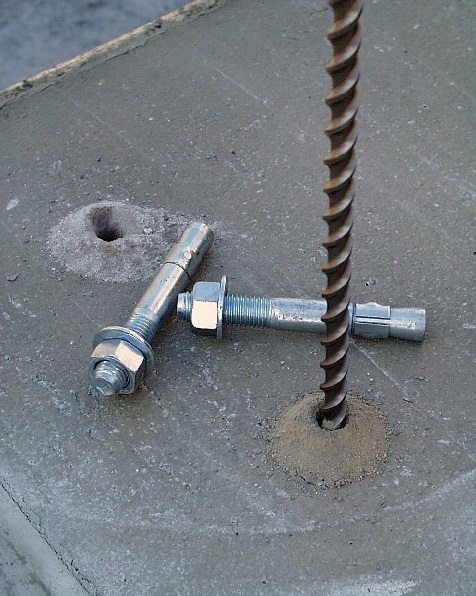 Assemble the anchor with the nut and washer so the top of the nut is flush with the top of the anchor. 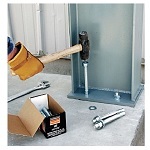 Place the anchor in the fixture and drive into the hole until washer and nut are tight against the fixture.